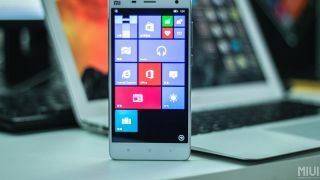 A couple of weeks ago we heard that Microsoft was sending a Windows 10 ROM to a select group of Xiaomi Mi 4 owners, allowing them to get the mobile version of the OS up and running on the otherwise Android smartphone. Now inevitably it's been filmed in action and if the video shared by Windows Blog Italia is anything to go by it looks surprisingly slick and impressive, especially for a non-final version of software running on hardware designed for Android. The software is the same technical preview of Windows 10 Mobile which can be installed on Windows Phone handsets and using it completely replaces Android on the Xiaomi Mi 4, but the video suggests that the new software makes for a fairly smooth experience. Offering Windows 10 Mobile on Android could be a great way for Microsoft to get more exposure for its operating system. Users who make the software switch will be tied into Microsoft's apps and services, which can only be a good thing for the Redmond company and it may even inspire some Android users to make the switch to Windows Phone hardware. Of course for now it's a limited trial, but that allows Microsoft to gauge user's reactions to the software and iron out any issues, so it's entirely possible that wider availability could be planned down the line. For now though unless you're one of the lucky few invited to take part in the trial you'll have to make do with the video. After a new computer OS? Check out what we think of the desktop version of Windows 10.